Sick and tired of the same boring tunes being played over and over? Prepare to be enlightened with some alternative-metal therapy (literally) by Northern Irish band Therapy?. The metallic trio are due to release ‘Disquiet’ on March 23, and with 11 tracks charged with power and energy, it is certain to open a few eyes… and ears. ‘Still Hurts’ opens the album with a fun and energetic melody, combining franticly fast beats with powerful vocals. This is the ideal track to introduce new listeners to ‘Disquiet’; it’s not too scary (as most outsiders see the metal world) but it’s not boring either, easing newbies into the warm and welcoming arms of rock and metal. The album is dominated by broad bass lines, forcible guitar riffs and powerful drums, which is evidential particularly in tracks such as ‘Good News Is No News’, ‘Idiot Cousin’, ‘Insecurity’, ‘Vulgar Display Of Powder’ and ‘Words Fail Me’. Vocals however, take over tracks ‘Helpless Still Lost’ and ‘Deathstimate’, stretching out long notes that are sure to raise the hairs on anyone’s arms; however not particularly something that some listeners may be looking for. Alternating paces are present throughout ‘Disquiet’. Track number four, ‘Fall Behind’ begins quickly with a power surge of guitar, bass and drums; a rock n’ roll dream right? However, the tempo drops to just vocals and soft drums twice throughout the track, almost taking it in turns to give the ears a quick breather from the intense yet melodic sound provided by this piece. This creates a nicely balanced melody. Despite ‘Disquiet’ being a proper alternative record, there’s always going to be the black sheep; or in other words, a non-heavy/metal track. ‘Tides’ being the second piece of the album still abides by the emphatic theme that Therapy? very successfully have going on, but slows down the pace to create a soothing and gentle number that could almost send a baby to sleep; well, a baby that loves hard-core alternative metal music anyway. Therapy? 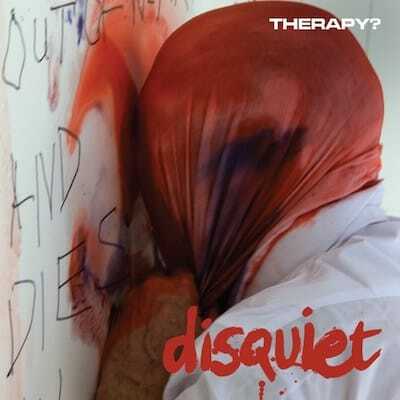 have indeed ticked all the major boxes for a collection of proper alternative music with ‘Disquiet’. 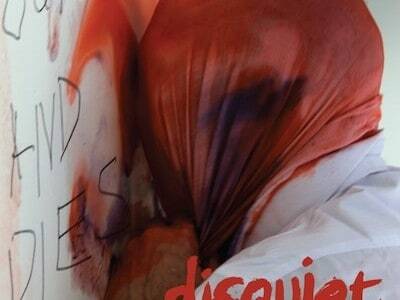 Tags: disquiet album review, Therapy?